I've got a shiny new 2TB drive for my home theater PC (HTPC)! The construction of the HTPC was covered in previous posts. Short form: ASUS M4A785TD-V EVO hooked up to the stereo via optical cable, and video via VGA. I created a USB thumb drive installer on the Mac, but I couldn't get my PC to boot from the thumb drive. BIOS recocognized the drive, but it just didn't work. So back to the tried-and-true CD installer. First issue came when selecting the installation drive. I put in a brand-new blank drive. After rebooting, the system hung. No bootloader was installed. The second time I went through the installation process, I chose the Do Something Else option. On this screen, you can select where to install the bootloader. Select the recently blank drive and then go Back to the previous screen. Now you can do the big Install and Replace and it will also put the bootloader on that drive. Solution: Do the dance described above if you are installing a new drive on a multi-drive system. The installer never asked for network information during install. My home media network uses manual addresses, so remote sources weren't installed. 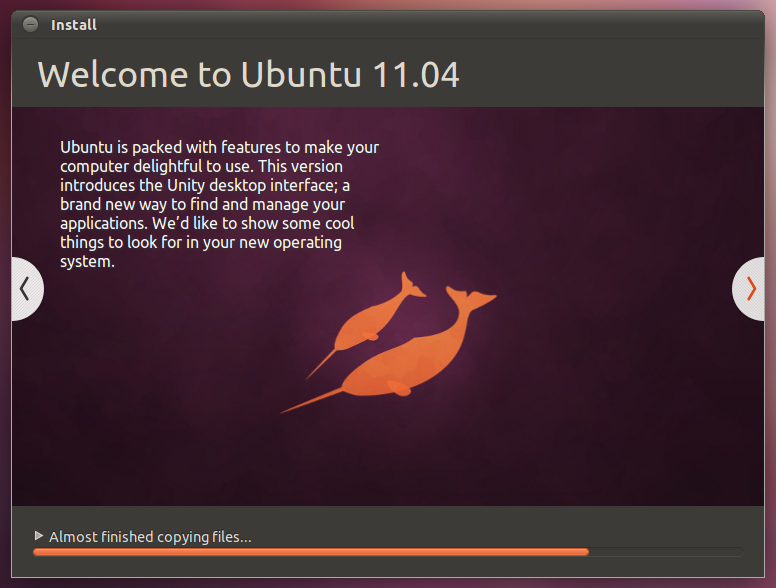 The new Ubuntu user experience is beautiful. I was completely lost however when looking for system settings. Turns out those are under the "power" button. With that piece of information, I was able to get the network working, install my other apps, and get everything updated. Ubuntu 10 always had issues with unaccelerated video on my system, but 11 worked great out of the box. Smooth, fast, gorgeous. Solution: Set up network after install complete, then run updates. Ubuntu 10's VNC server only worked with unaccelerated video (which I never ran because of other issues), so I would run other VNC services. But VNC was never really stable. I use my iPhone as a remote for my "TV" using HippoRemote which communicates over VNC. This works GREAT with the default Natty install. Attempting to use my favorite desktop VNC client, JollyFastVNC, yielded black screens. Turning off "Tight" encoding let me see the screen, but it did not update. Go to /desktop/gnome/remote_access and enable "disable_xdamage"
As with my experience with Karmic, there was no audio. Pulling up aslamixer did not solve the problem this time. Selecting the digital output from the analog list in the hardware options in the Sound control panel finally produced audio. Solution: Select correct output hardware. Doh! Attempting to shell into the machine failed. Apparently, no ssh server installed by default on Natty. XBMC was not preinstalled, and doesn't appear to be in the default repositories. At this time, there is not an official Natty release. Sometimes thing will go wrong. I had a "Force Quit" button in my previous installation. Found an excellent post on how to create a Force Quit for Natty. Solution: Follow the instructions to put a Force Quit Icon in your Launcher. Installing VLC, gPodder, and Transmission from the regular sources completed my HTPC. The Unity-powered desktop is much faster and the Launcher works well on a TV screen. 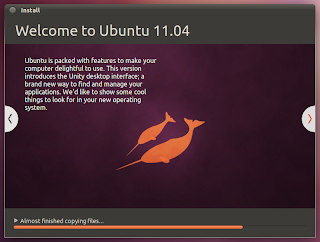 It's probably too soon to upgrade Ubuntu for Home Theater PCs. Wait until XBMC or Myth have official releases. Wow, that's incredibly gorgeous indeed. I got an HTPC too and I think I will install this either.